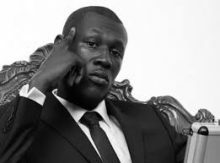 A representative for Oxford University has denied the institution "turned down" the chance to launch Stormzy's higher education scholarship. The Weeknd has announced he is behind a business initiative to support start-up companies. HXOUSE will content creative from all areas of the music industry. Kylie Minogue will play her first ever A Day On The Green shows in Australia in March.